we are no longer accepting ANY books for review. Yes, it is disappointing. We L-O-V-E discovering new books and authors. Our volunteer families read EVERY book we receive, and more than new 500 titles land on our doorstep every year. We don’t ask for these books, they come to us automatically from authors and publishers with whom we have worked over the last decade. Thank you for understanding. We read every book sent to us. We love talking about books, literacy, and reading. 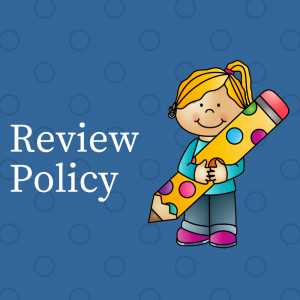 We do not guarantee a review nor do we attempt to meet requester deadlines. We read children’s and young adult books (infant to age 13). We do not accept manuscripts or galleys. We will consider finished eBooks for middle grade and YA ONLY (case-by-case basis). We do not accept self- or independently published books that are not available in at least 5 public library systems. We do not charge for reviews. We do not host giveaways. We do not participate in blog tours. We do not accept advertising or ”guest” blog posts that (a) do not relate directly to literacy; (b) link to for-profit websites; and/or (c) double as product promotion. The Reading Tub is a 501(c)(3) for family literacy. We are a 100% volunteer organization that encourages families to read together and gets books to readers-in-need: kids who don’t have books at home or students failing reading benchmarks for their grade. Book reviews help us introduce books, but promoting authors isn’t one of our goals. We accept books primarily to get books to at-risk readers. When we finish reading the book, we place it with a sister public charity that works directly with readers-in-need or through one of our community programs. Our review model is different. Our goal is to promote reading, so literary quality and audience appeal are very important. Our process takes time. Parents and caregivers need to read with children, so the books we receive are shared with the target audience. Most of the books reviewed on the Reading Tub website came from the library or our personal collections; were submitted by a volunteer reviewer (who likely got it from the library); or were an unsolicited donation from an author, publisher, or publicist. We do not request books for review. Authors and publishers are in the best position to decide if donating a title to the Reading Tub is a good fit for their book. We review books for children from infant through 13. Our audience is parents, teachers, librarians … essentially any adult interested in encouraging reading and helping a child become a skilled, successful and lifelong reader. Because we place the book with a family or in a classroom, our readers must be able to hold your book. We require a copy suitable for review (market, review, or advance reader copy). We do not accept unbound galleys. We do not accept PDF or other electronic versions of picture books. That includes picture book Apps. We will consider a PDF or e-book version of a middle grade or young-adult book as long as we ALSO receive a hard copy (market, review, or ARC). This will allow us to do more with technology for those who have computer tools, but not leave out those who don’t. We will accept audiobooks on a case-by-case basis. The book must be on the market at least nine months OR you must be willing to wait longer than a few months for a review. Our review model doesn’t work well with books that are getting buzz “now.” Our books are matched to audience interests and reading level. Making that match takes time. Authors and publishers patient enough to wait for reviews enjoy the “second life” that comes with reviews that come a little later. We no longer accept middle grade or young adult fantasy. Our reviewers are still crying “uncle” after the Harry Potter, Twilight, and Hunger Games effects. We need to mix it up a little more for the reviewers. We will only accept independently published and self-published books if they are (a) widely available, and (b) in at least five (5) library systems. We read every book donated to us, but we do not guarantee a review. All of our profiles are done by kids and adults together (either as a family, in a classroom, library, etc. ), and their comments influence whether/not we publish a review. We believe every book has at least one positive quality. That said, our goal is helping kids learn to read, and audience interest and quality (i.e., grammar and spelling, binding) are primary considerations. We have published reviews that don’t recommend that you borrow or buy a book, but they are not a significant part of the book bag. When we accept a book, it is logged in our queue by title, audience, and keyword. Our process matches the book with an audience who is interested in the topic/theme. This means that it may take several months to a year to place a book for review. We do not have a set timetable, but we will contact the requester if we decide not to review your book or after we publish a review, whichever is appropriate. If you decide to send a book to the Reading Tub, Inc. it is a donation to a public charity. Because we do not guarantee a service, the value of the book and the postage can be tax deductible. If we review the book, we have provided a service in exchange for the book and the donation is no longer tax deductible. If the book is not reviewed, it is tax deductible. When we finish reading a book, we donate it to a nonprofit organization. Nearly all of the books on the Reading Tub website are linked with Amazon.com. We also provide a link to Worldcat.org, so you can find the book in your library. minimizes the need to request donations via fundraising campaigns. Neither the unsolicited receipt of books from authors, publishers, and publicists nor the affiliate compensation influence the content, topics, or posts on this website. I am not compensated to provide opinion on products, services, websites and various other topics as it relates to the Reading Tub, the Reading Tub website, Share a Story-Shape a Future, or our social media channels. The views and opinions expressed are those of the person reading the book or writing the blog article. We do not endorse products or services to ensure that there is no conflict of interest or risk our status as a public charity. If you have any questions about our policy or would like more information, please contact Terry at thereadingtub [at] Gmail [dot] com.